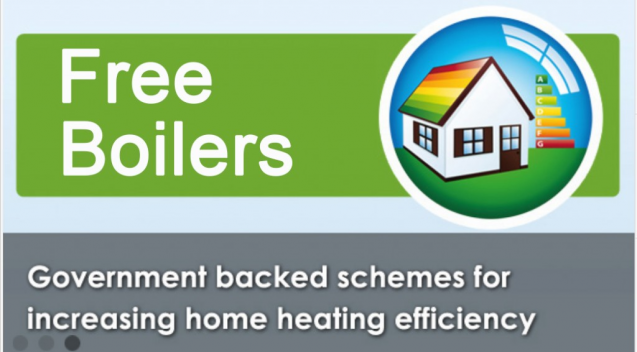 Home › ECO Scheme 2014 › Can I get a Free Boiler in 2014? The free boiler scheme has taken a bit of a hit recently, funding has gotten a little tighter, but thats only due to the end of the financial year ending. More funding is set to be injected in to the ECO system and free boilers and home insulation will still be available in 2014. ECO ( The Energy Company Obligation ) has been extended in to 2017, which has been a real break for all of those involved in the industry. Now, the energy suppliers have new targets to hit and they are obligated to spend a certain amount of money funding the installation of new combi boilers in qualifying peoples homes. ECO is the Energy Company Obligation. This basically means that the UK Government has Carbon Reduction targets to hit being a part of the EU. ECO plays a large part in hitting these targets and we will look to reduce our carbon emissions by installing free boilers and cavity wall insulation in peoples homes, free of charge. Visit www.boilergrants.org.uk to check if you qualify, it takes 2 minutes. Take advantage of the grants before they end. I was more than happy to discover this page. I need to to thank you for your time due to this wonderful read!! 2014 should be a great year for the free boiler scheme!